Connetquot River State Park is located in Bohemia. The park is ideal for horseback riding. More often than not, you can see residents walking their horse through town. 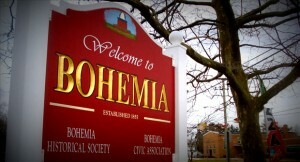 Although Bohemia was once known for its excellent cigar making factories, they are no longer in use. However, the hamlet’s reputation for manufacturing great cigars remains.